Once upon a time in the charming streets of Paris, a young Breton named Anne-Sophie had an idea come to her. What if you could travel to new places and experience the city like a local? No big hotels and tourist traps but rather allowing yourself to embrace the energy and culture of the neighborhoods around you. To really experience an authentic stay by eating where the locals eat, drinking where the locals drink, while enjoying the comfort and luxury of staying in your own charming apartment. 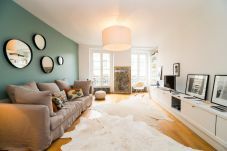 www.we-Paris.com, offering beautiful and authentic Paris apartments for tourists and business professionals. Join we-Paris and discover the keys to your Parisian adventures! 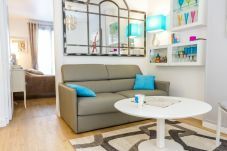 Specialized in the 11th arrondissement, we-Paris.com offers comfortable and contemporary apartment rentals throughout Paris for short and mid-term stays.